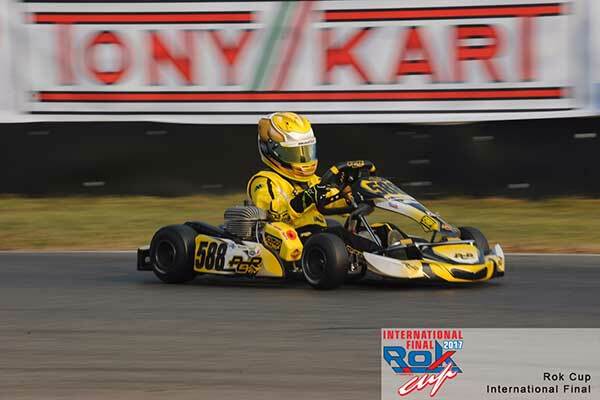 Australians have shown some outstanding form at the ROK Cup International Final at Lonato in Italy, with Queenslander, Scott Sorensen earning himself a front row start for Saturday’s final in Super ROK, whilst Victorian James Wharton is in a good position after taking a heat race win in Mini ROK. Sorensen – who earned his place due to winning the KA1 Australian Championship with the Vortex ROK DVS motor – secured the front row start after finishing his three heats with a pair of third placings and a sixth. He was equal on points, however by virtue of a better qualifying position earned the higher place. “We’re in a good place. We have the warmup tomorrow morning, which we’ll do a few laps to scrub the race tyres in, but we’re happy with where the kart is right now. It is an unbelievable achievement to be starting on the front row for the World Final,” said Scott after Friday’s competition. 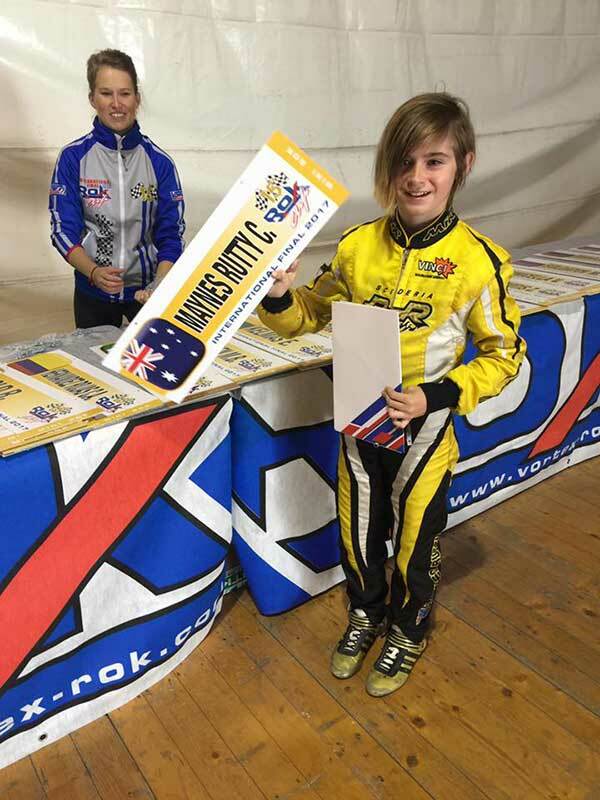 The runner-up in the Australian KA1 Championships this year, Kyle Henry-Smith is also competing in the highly competitive Super ROK class. Henry Smith has ended his three heats with a 29th, 18th and 23rd. The Gold Coast-based New South Welshman had the kart hooked up in the second heat, however was shuffled down the order with a post race penalty – as he was in the opening heat. The Scuderia PCR pilot will start Saturday’s final from 25th. Shamick Racing’s James Wharton has shown tremendous pace throughout the course of the weekend. He ended his day Friday with a heat race win to add to his ninth (with penalty), third and sixth placed finishes. He was leading the penultimate heat in the early stages before being shuffled back. 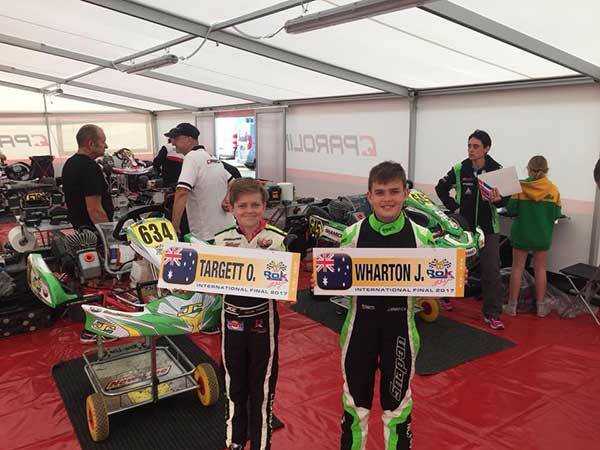 JC Kart’s Oscar Targett started his weekend promisingly with a fourth in his opening heat on Thursday and continued to show pace, lapping within the top three fastest lap times in his subsequent heats. However, the Queenslander was the victim of some overzealous driving in both Friday heats while running inside the top five and was shuffled to the back of the pack, ending the day with 27th and 26th placed finishes. The second of the Scuderia PCR entries, Cody Maynes-Rutty has had a challenging first hitout at the ROK Cup World Finals. The New South Welshman has ended his heats with a 24th, 29th, a disqualification and a great fightback to 19th. 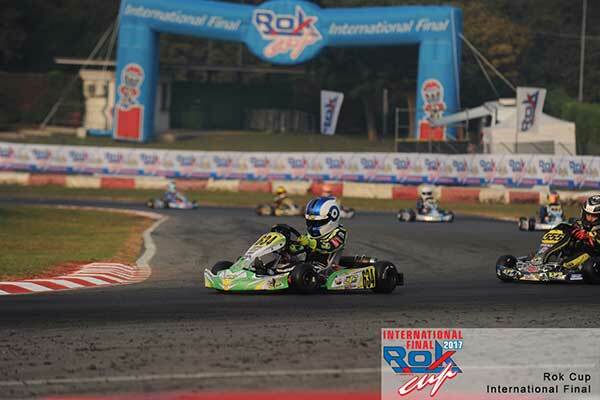 The Mini ROK class has a number of sons of famous racers, with Emmo Fittipaldi – son of Formula 1 World Champion and Indianapolis 500 winner, Emerson, Enzo Trulli – son of F1 race winner, Jarno and Brando Badoer – son of former Ferrari racer, Luca all competing in the category. 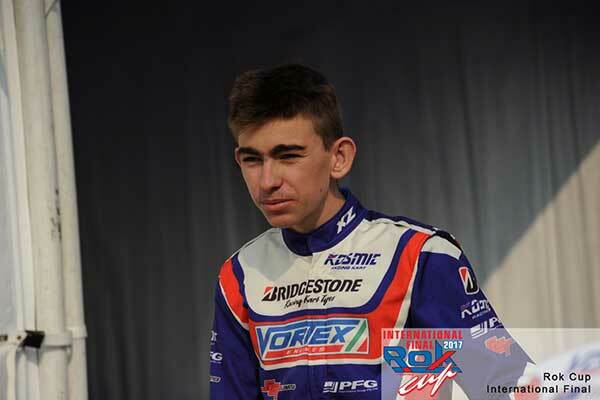 Paul Feeney Group Race Team driver, Broc Feeney is the only Australian flying the flag in Junior ROK. He has consistently been within the top group during his heat races. Feeney, who earned his berth in the ROK Cup World Final through winning the Australian KA2 Championship with the Vortex ROK DVS-J motor – has secured two thirds, a fourth and a seventh during his heat races and will be well placed once the group heat races are complete on Saturday morning. He too is competing against sons of famous fathers with the Barrichello brothers (sons of Rubens) Fernando and Eduardo in his category. 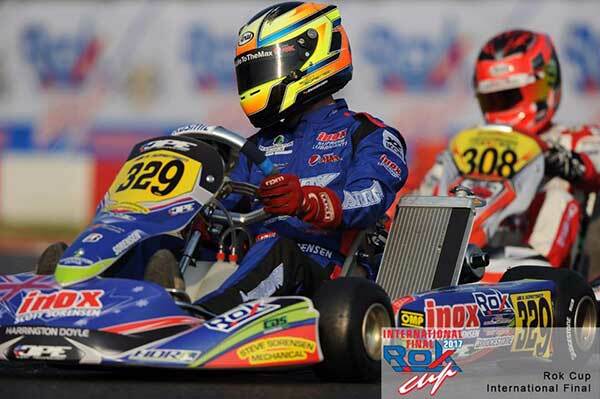 Livestreaming and Live Timing from Super Saturday – which will include the finalisation of heat races, the Bridgestone Cup for Mini ROK and the Finals – will be available from the ROK Cup website at http://www.vortex-rok.com/intcup-home_eng.php. Follow the event’s Facebook page at www.facebook.com/RokOfficial.